Florida teen Uma Menon attended the State of the Union as a guest of Rep. Stephanie Murphy after winning an essay contest. When President Trump delivered his State of the Union address all eyes of the nation were on him. But it was also a particularly proud moment for the family and friends of a 15-year-old Indian American student from Winter Park, Florida, just outside of Orlando. Uma Menon, whose parents immigrated from the Thrissur region in Kerala, India, was chosen to attend Trump’s address in Washington on Tuesday. 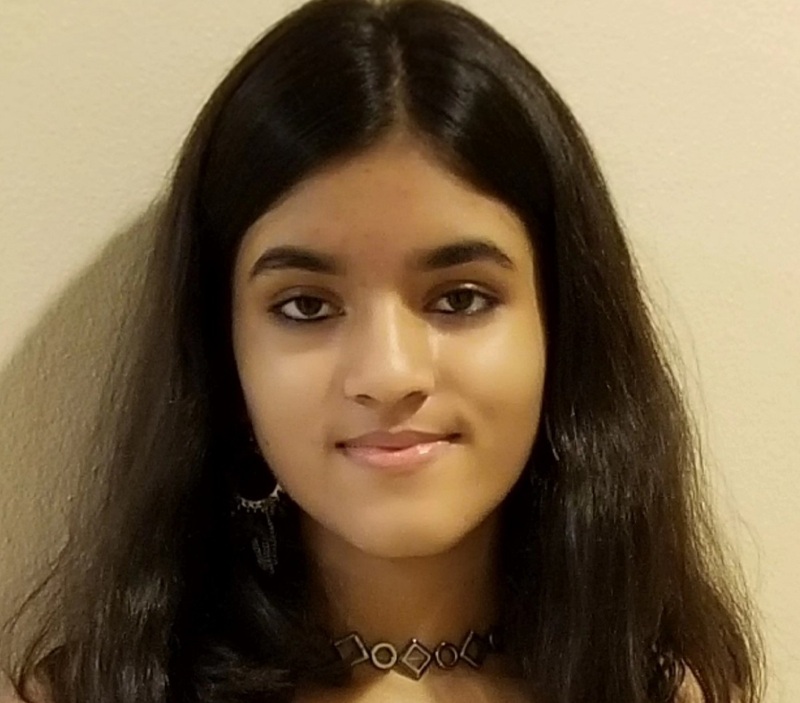 Menon, a 11th grader at the Winter Park High School, got this opportunity of a lifetime after winning an essay contest organized by her local congresswoman, Rep. Stephanie Murphy, D-FL. The State of the Union essay contest served as a perfect opportunity for Menon to display her talent. And if you thought that Menon was another star-struck girl attending the event, then you are wrong. For the high-schooler, the opportunity was the perfect familiarizing ground, as she herself has political ambitions. She wants to join politics and shine in the field in future. The Indian American teen is a supporter of California Sen. Kamala Harris. “She is a strong and powerful woman but we are still very early in the race,” she said about the presidential hopeful’s chances. Menon belongs to an academically inclined family. Her parents Ramkumar Kozhikote and Shailaja Alath are engineer and entrepreneurs, based in Orlando. A natural public speaker, she is the vice president of her school’s speech and debate team. Her other achievements include being the Florida Regional president for the Future Business Leaders of America. A budding poet, her first book of poems was published by Zoetic Press earlier this year. The State of Union address is an annual democratic ritual, where the President of the United States gives to US Congress information about the state of the Union. Some mornings, I throw a political t-shirt over my head before I walk out of the house. An equality shirt when I’m feeling powerless, a reform shirt when I want change, or maybe a candidate’s shirt on election day. These small acts make me feel powerful regardless of my age and allow me to express my beliefs to make a change. Those mornings, I leave the house with pride and without fear of reprimand, thanks to student activists who came fifty years before me. After all, it is because of the young students who led the Free Speech movement and unabashedly wore black protest bands that I am able to wear political t-shirts, express my beliefs, and assemble with other students at school today. Over the years, civic-minded youth activists have created formidable change, whether it was through the landmark Tinker v. Des Moines Case, or through the more recent Never Again MSD (Marjory Stoneman Douglas) movement. Youth civic engagement is extremely important because young Americans represent the future of America. A few decades from now, one of us will be delivering the State of the Union. It is the voice of the youth that America listens to today, and is the voice of the youth that America must listen to tomorrow. History has shown that youth-powered civic movements are often the most effective; prominent organizations such as United We Dream and Black Lives Matter were founded by young Americans. Many important policies on labor, segregation, civil rights, and immigration have also been passed as a result of youth engagement. The youth-led gun control movement, sparked by the shooting at Marjory Stoneman Douglas High School, created unprecedented change: over fifty laws were passed across the nation within six months of the shooting. This fervor and dedication of young Americans is unmatched, making civic engagement all the more powerful. Youth bring a fresh voice and energy to discourse that allows for greater problem-solving. Studies indicate that civic engagement is extremely beneficial both for youth and their communities. Civic engagement influences student’s future success, reduces disparities, and improves their health. It creates well-connected communities and a more democratic society. Volunteering, protesting, and voting are all part of civic engagement and allow young Americans from all walks of life to participate in their communities. A healthy democracy requires participation of its citizens, especially young Americans who must be prepared to engage, contribute, and lead the nation. For young Americans, civic engagement brings greater appreciation of the community and understanding of the various challenges that the community faces. Civic engagement has the potential to leave long-lasting impressions on young Americans, making them stronger leaders who are more likely to contribute to their communities in the future. It is the children of America who will be living through the political and community decisions that are made in the present, whether it be environmental, domestic, or international policy. Without civic engagement, American democracy will cease to flourish.